CIO Academy Asia (CIOAA) is pleased to organise our second Study Trip to Israel, the tech powerhouse long renowned as “The Startup Nation” for its never-ending supply of global leading startups. Israel, whose pipeline of deep tech talent belies its relatively small population, continues to create new innovations that are central to the information technology community today. The government is taking what is already thriving in their startups and infusing the rest of the enterprise landscape with new emerging technologies. The theme for this year is “ABC Tech Study Trip” – Artificial Intelligence; Big Data and Analytics; and Cybersecurity – all the forces driving the 4th Industrial Revolution and technologies at the forefront of CIOs’ minds in 2019. 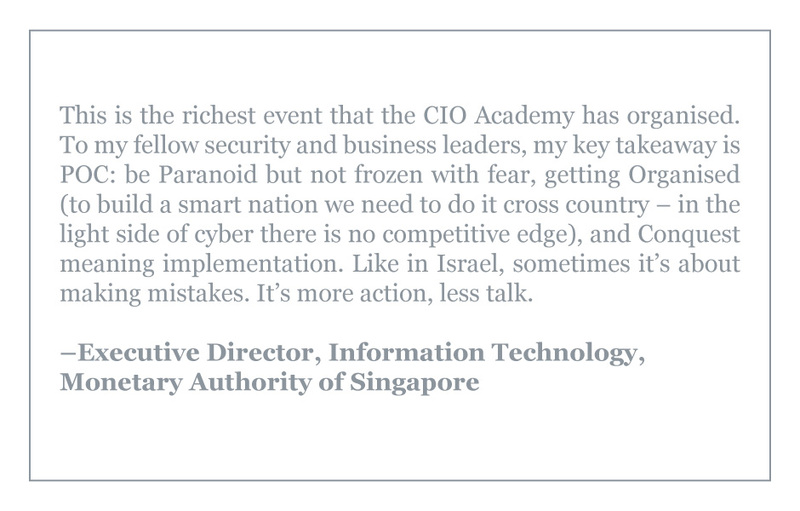 On this CIOAA study visit, we will be updated on the latest cybersecurity R&D developments from Israel’s leading cybersecurity firms; visit the government agencies driving the innovation agenda for Israel’s innovation and digitalisation efforts; and meet Israeli enterprises at the frontiers of the technology world. From startups to big companies, we will be meeting leading AI and Big Data & Analytics enterprises in Israel. This will be CIOAA’s second study trip to Israel following the successful 2017 Study Trip where over 20 CIOs fostered good bonds and relationships during the study trip. The experiential site visits coupled with meetings and sharing of insights allowed the participants to deep dive into the latest cybersecurity trends and technologies as well as discovering how rich the Israeli innovation ecosystem is. 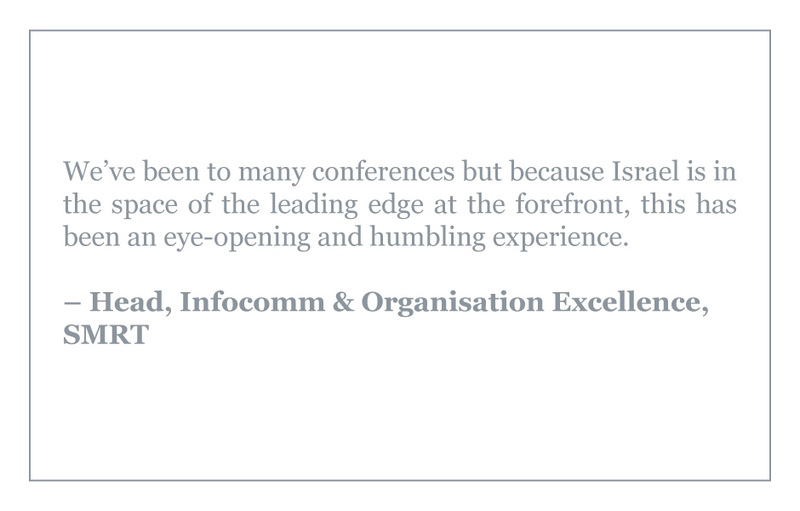 We know the upcoming trip to Israel will yield the same rich discovery for many in our CIO community. The Study Trip will be led by CIOAA’s Director of International Operations, who has recently joined CIOAA. 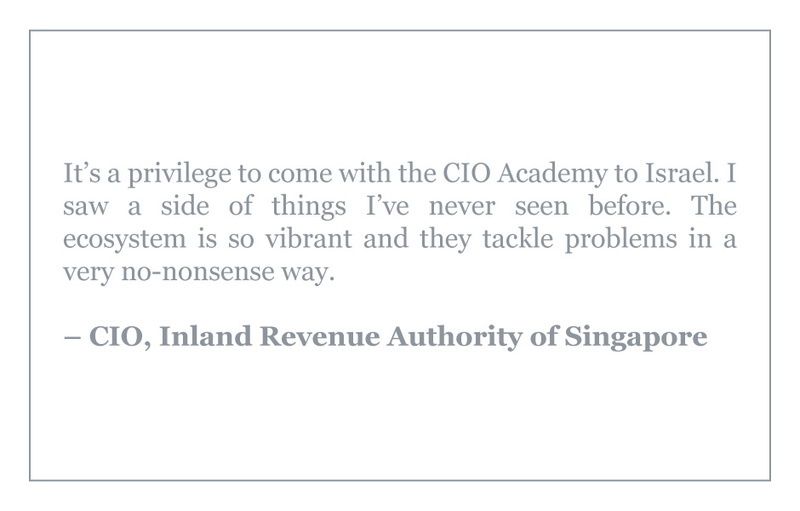 With a rich mix of public sector (GovTech and IDA) and private sector industry background, he has deep experience in engaging with the Israeli tech ecosystem and organising trips for private and public sector delegates to Israel. Meet and learn from leading technology thought leaders from Israel, one of the world’s leading tech powerhouse. Visit companies at the forefront of cybersecurity and emerging technologies. Learn about Israel’s innovation ecosystem and how these economic and technological developments are driven. Gain a better understanding of the latest trends and future developments for today’s technology landscape: AI; Big Data and Analytics; and Cybersecurity. Network with leading experts from both private and public sector leaders at networking functions. If you are looking to meet leading Israeli startups in specific tech areas, CIOAA can curate separate programme for sponsors.